Spacious 1 bedroom apartment with living room & kitchen. 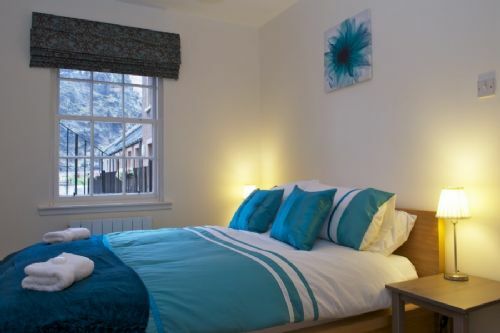 Located in the Old Town UNESCO Heritage Site along the Street of West port with the Grassmarket at one end. 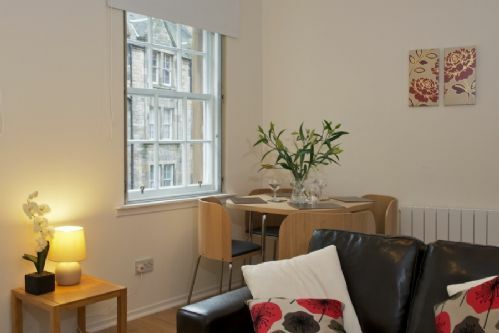 Within walking distance of Princes Street, Edinburgh Castle, the Royal Mile and all other major Old Town Locations. Everything we needed for our short stay was there and we couldn't have found a better place for the price with cafe's and restaurants and within walking distance to pretty much everything. The apartment was nice and cosy. It was the perfect location to be in the middle of everything, and the layout was very comfortable. I would def stay here again. Great little apartment with a perfect location, just a 10 minute walk to Princes Street and had a perfect view of the castle. Also plenty of pubs/bars, restaurants and shops near by so you don’t have to travel too far if you don’t want to. We had a great stay and would definitely come back! Our family spent 4 nights at the apartment and we were overall pleased with our experience. There were a couple of issues early on in our stay which were immediately addressed and our hosts were very responsive. 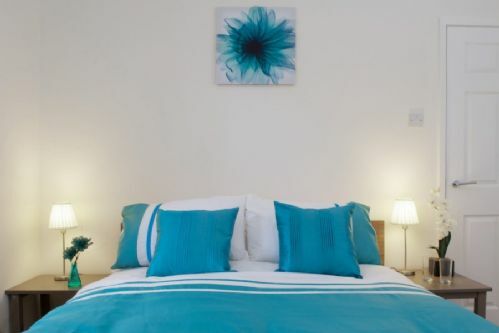 The apartment is excellently situated to all of the sites and within walking distance. There is an excellent selection of restaurants nearby, and 3 coffee shops across the street. The only drawback is that the apartment faces a very busy street and can be very noisy until after the bars/nightclubs close. We greatly enjoyed our stay and would recommend these accommodations to our friends. I don't recommand this appartment. The apartment was not clean. You have to pay 25 if you arrive 2 hours before and the 1st day there was no hot water. Cost effective for 3 vs two hotel rooms. 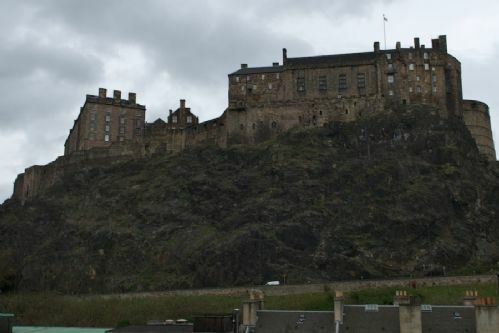 Our walk up apartment was an easy walk to most of what we wanted to see and do, with a direct view of Edinburgh Castle. There’s no onsite services, but tours and shopping were easy enough to find on our own. Would highly recommend this place to stay. Everything in the space was neat and clean. It was in a great location. Check in was smooth. Just a note for first time visitors to Edinburgh just research the walking route from the railway station. We just took the first route it showed us and landed up walking up lots of stairs with huge bags!!! The location was wonderful. We were able to walk everywhere we wanted to go. We never even took a bus. Katie was friendly and accommodating. We would recommend staying there to any of our friends. For those interested in sightseeing, the Grassmarket area is one of the best in Edinburg as it has itself great historical value(from one of the windows of the flat can see the famous Edinburgh Castle which is situated less than 5 minutes away)and from there most of the city landmarks are accessible on foot(except for the Ocean Terminal but there are quite a number of buses going in that direction from the bus stop nearby on Lothian Street).It is also a paradise for the theatre goers with the wonderful Traverse and Lyceum Theatres almost next door and the Kings Theatre under 15 minutes walk away. The Festival Theatre(with the programme all year round) is also about 15 minutes away. Summerhall, with its versatile cultural programme, is across the Meadows. After many years of attending the Fringe and EIF(Edinburgh International Festival) I experienced that only Grassmarket provides proximity to almost all Festival venue. 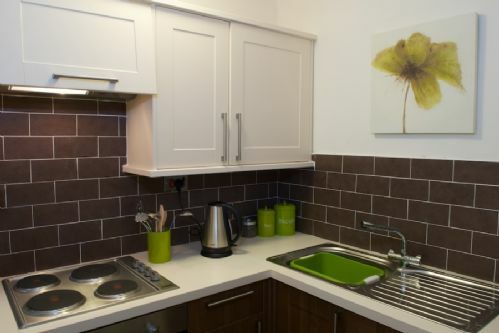 The flat is very clean, pretty and very well equipped with cooking utensils for those who do not fancy going to one of many restaurants which can be found next door. The nearest supermarket is located 3 minutes away and it stores variety of healthy, ready made meals(incl.vegan, vegetarian, pescarian). It is also very warm as each room is provided with additional electric heaters should the central heating be not enough. The flat is situated in a gated development so one does feel safe(which one does in Edinburgh anyway), just don't forget your entry code. Jack, a young gentleman who met me there with the keys, made sure I put mine in my phone and wrote it down on a piece of paper too. The WiFi connection was excellent. I will strongly recommend the flat to anybody looking for a quiet and central place to stay without paying a fortune as, in my view, it really offers value for money! The location of this property is great. However, the standard of cleanliness in the apartment was a little disappointing. 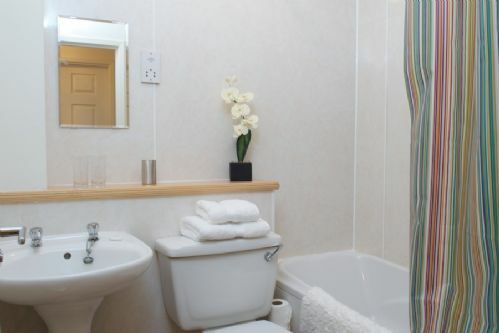 The dimly lit bathroom was a bit grubby, with clumps of dirt on the floor behind the door, a dirty shower curtain and around the bath seal was grubby too. The layout of the bedroom is not ideal with a bed that has a wooden surround crammed into a small space giving me bruises on my legs from banging into the corner when squeezing through the tight space (I am not a large person). There was still food remnants on the inside of sandwich toasting machine in the kitchen so this had obviously not been cleaned either. Fortunately we ate out apart from breakfast in the mornings, which was cereal, so this wasn't a problem for us, just a little off putting and another example of the lack of attention to detail with cleaning. Overall the apartment was adequate for our needs, and quiet for a good night's sleep, but the standard of cleaning should have been better. The parking space was a huge plus. 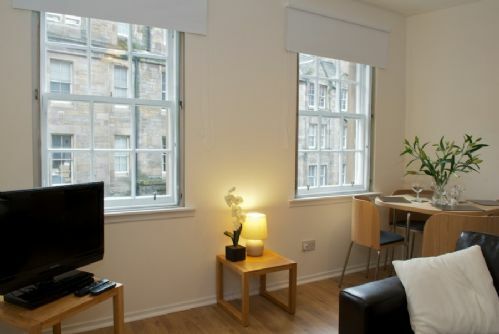 We originally booked Grassmarket 5 and there were issues with the apartment so we were moved to Grassmarket 1. This review is for Grassmarket 5. We had some issues with the apartment from the beginning. The living room area was very dirty when we arrived - we removed the old rug which left dirt and dust all over the already filthy floor. We had to vacuum the whole place when we arrived. The bathroom was really musty - the tub was full of mildew and mold and the shower curtain is in desperate need of replacement. We did not have hot water for the first night and so we moved to Grassmarket 1 after the first night. Katie was easy to get in touch with, but needed some prompting to come by and help us out with the issue. In short, this apartment needs deep cleaning and upgrades. It's pretty rundown and in my opinion, not worth the money. Grassmarket 1 on the other hand, was clean and well set up (albeit smaller) with the same great location in Edinburgh. I've stayed with Greatbase before I will do so again. Great flats, tremendous value and always great service. 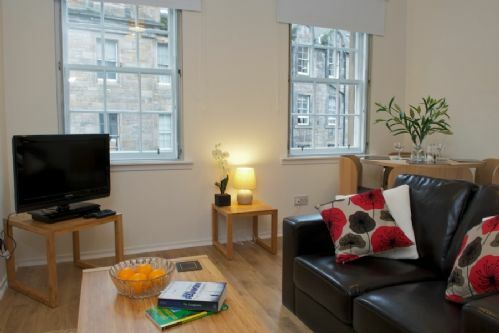 The places are always clean and I was thrilled to discover a new and exciting flat in Grassmarket 5. Great flat, amazing location and as always, Katie and Jack are wonderful and incredibly helpful! 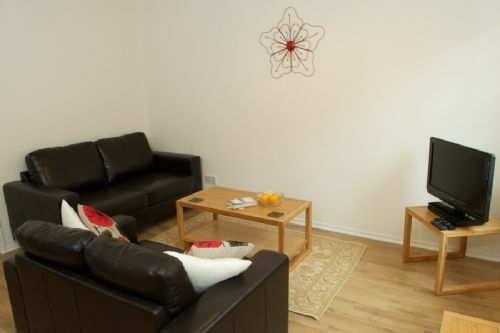 The flat was very clean, Katie was extremely welcoming and went above and beyond to make sure we settled in smoothly. The bedroom is perfect, very comfortable bed, loads of space in the wardrobe. Living area has a pull out sofa which was perfect as two of us were staying there. The flat was a little on the cold side since there are only two wall mounted space heaters (one in the bedroom and one in the living area) but other than that, no complaints! Kitchen is fully outfitted and the shower in the bathroom had great water pressure and temperature control. All in all, a great flat and definitely worth the price! Thanks again Katie!